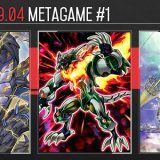 Sky Striker Mecha – Hornet Drones is being played across a variety of decks in OCG 2018.04. When combined with a Tuner monster, it provides an easy access to Crystron Needlefiber and then Summon Sorceress, enabling a variety of opening plays from there. The Sky Striker engine is a small package consisting of 3 Sky Striker Mecha – Hornet Drones, 3 Sky Striker Mobilize – Engage! 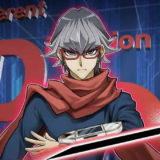 in the Main Deck, and 1 Sky Striker Ace – Kagari, 1 Sky Striker Ace – Shizuku in the Extra Deck. 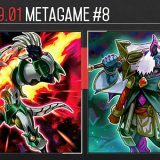 This article will showcase a 3-card One-Turn-Kill (OTK) combo for Sky Striker, and explore how some of the various hybrid builds are utilizing the Sky Striker engine. This is the standard opening combo for Sky Striker Mecha – Hornet Drones and a Tuner monster. We will be using Ash Blossom & Joyous Spring in this example, but any other Tuner monsters, such as Ghost Ogre & Snow Rabbit, Ghost Reaper & Winter Cherries or Effect Veiler, are suitable as well. 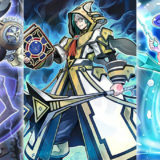 Using “Sky Striker Ace Token”, Link Summon Sky Striker Ace – Kagari in the Left Extra Monster Zone. 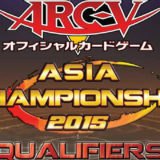 Using Ash Blossom & Joyous Spring + Sky Striker Ace – Kagari, Link Summon Crystron Needlefiber. When Crystron Needlefiber is successfully summoned, trigger its effect and then activate Sky Striker Mecha – Hornet Drones in a Chain. 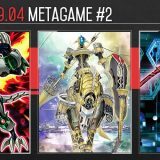 Chain 2: Resolve Sky Striker Mecha – Hornet Drones‘s effect, Special Summon “Sky Striker Ace Token” in the 1st Main Monster Zone. After this step is a divergence, different decks will be using Crystron Needlefiber to Special Summon a different Tuner monster that is appropriate for their needs. Chain 1: Resolve Crystron Needlefiber‘s effect, Special Summon Jet Synchron. 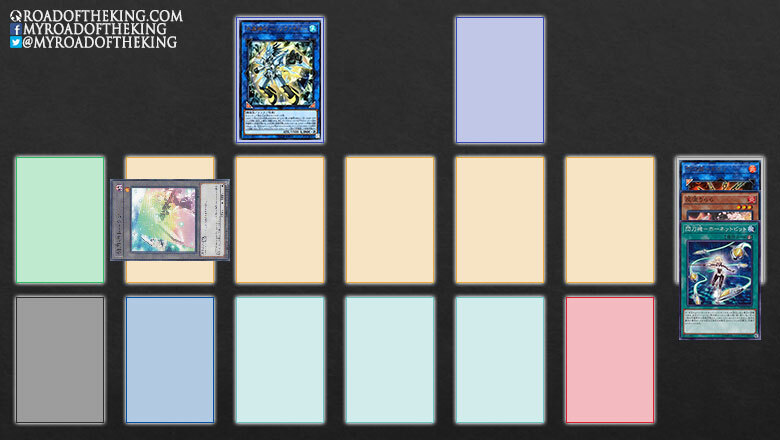 Using Crystron Needlefiber + Jet Synchron, Link Summon Summon Sorceress in the Left Extra Monster Zone. 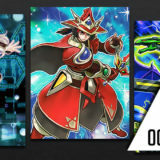 Activate the effect of Summon Sorceress, target “Sky Striker Ace Token” to Special Summon Sky Striker Ace – Raye from Deck to 3rd Main Monster Zone. Activate the graveyard effect of Jet Synchron, send 1 card from Hand to Graveyard, revive itself. Using Jet Synchron + Sky Striker Ace – Raye, Synchro Summon Hi-Speedroid Chanbara in the 3rd Main Monster Zone. 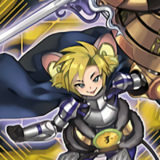 Using “Sky Striker Ace Token”, Link Summon Sky Striker Ace – Shizuku in the 1st Main Monster Zone. 2400 + 1500 + (2000 + 200) + (2200 + 200) = 8500. 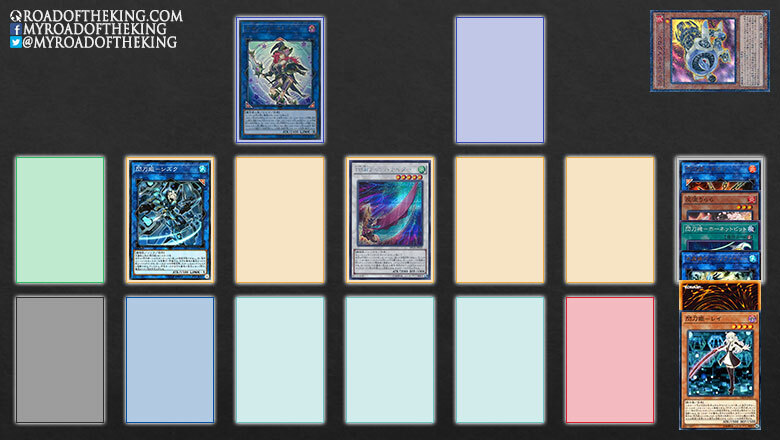 This 3-card combo, though costly, provides Sky Striker with an OTK to finish the game when the opportunity arise. Because this combo could only dish out 8500 damage, most Sky Striker decks are no longer running Upstart Goblin to avoid giving the opponent additional Life Points that pushes them outside of the OTK range. 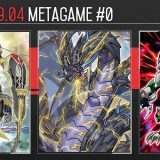 Chain 1: Resolve Crystron Needlefiber‘s effect, Special Summon Mecha Phantom Beast O-Lion. 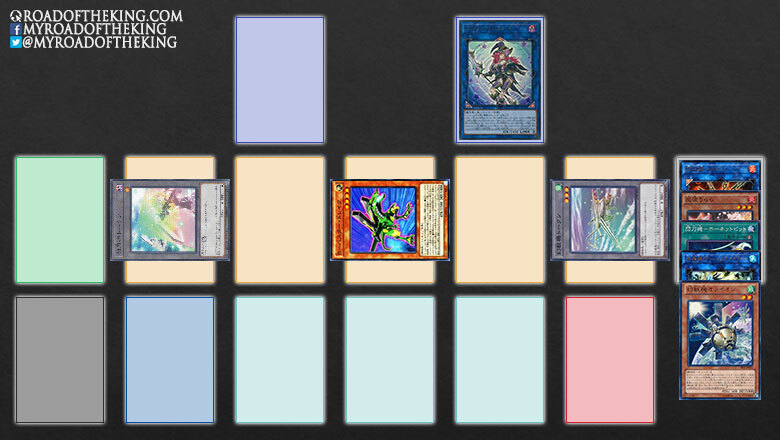 Using Crystron Needlefiber + Mecha Phantom Beast O-Lion, Link Summon Summon Sorceress in the Right Extra Monster Zone. 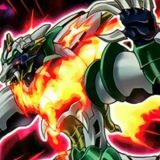 When Summon Sorceress is successfully summoned, trigger the effect of Mecha Phantom Beast O-Lion, Special Summon “Mecha Phantom Beast Token” to the 5th Main Monster Zone. 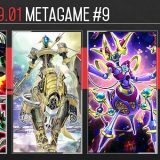 Activate the effect of Summon Sorceress, target “Mecha Phantom Beast Token” to Special Summon B-Buster Drake from Deck into the 3rd Main Monster Zone. For here on, through a combination of multiple Link Summons and Firewall Dragon‘s effect, B-Buster Drake will fetch A-Assault Core, then A-Assault Core will salvage B-Buster Drake, which will then fetch the final piece C-Crush Wyvern. 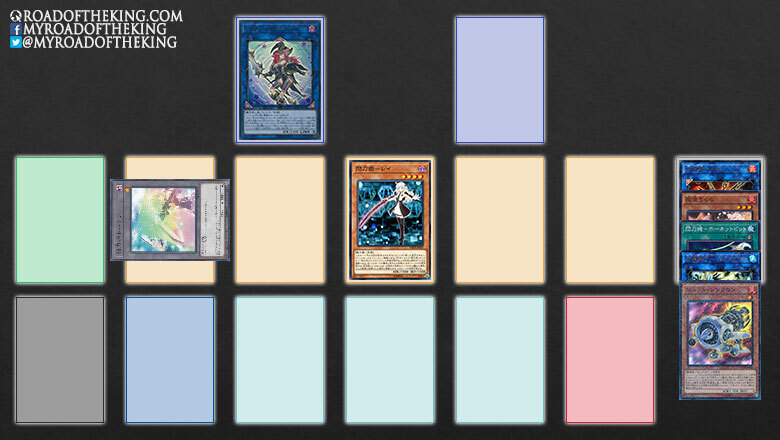 This combo is mainly to Special Summon a Machine-Type monster from the deck with Summon Sorceress‘ effect. SPYRAL could also utilize this combo to bring out SPYRAL Quik-Fix. Chain 1: Resolve Crystron Needlefiber‘s effect, Special Summon Glow-Up Bulb in the 5th Main Monster Zone. Using Crystron Needlefiber + Sky Striker Ace – Shizuku, Link Summon Summon Sorceress in the Right Extra Monster Zone. Activate the effect of Summon Sorceress, target Glow-Up Bulb to Special Summon Dandylion from Deck to the 3rd Main Monster Zone. Just by running Glow-Up Bulb and Dandylion alongside the Sky Striker engine, this combo provides additional Link Material through Dandylion‘s “Fluff Tokens”. 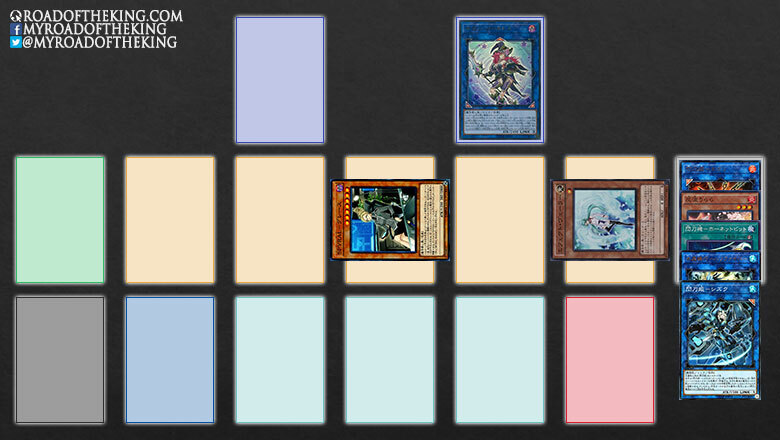 ABC and SPYRAL are some of the decks that have this as their backup play. 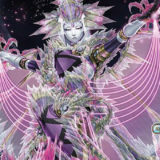 Chain 1: Resolve Crystron Needlefiber‘s effect, Special Summon Effect Veiler in the 5th Main Monster Zone. 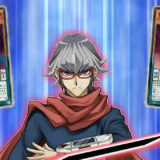 Activate the effect of Summon Sorceress, target Effect Veiler to Special Summon SPYRAL Master Plan from Deck to the 3rd Main Monster Zone. When SPYRAL Master Plan is used for Link Summoning and sent to the graveyard, its effect will fetch for SPYRAL Resort and SPYRAL Quik-Fix. 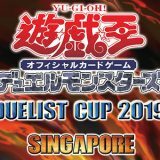 With the help of Firewall Dragon, this will easily develop into a field of Knightmare Link Monsters and SPYRAL Sleeper equipped with SPYRAL GEAR – Last Resort. Sky Striker Mecha – Hornet Drones provides an efficient and consistent method to bring out Crystron Needlefiber and then Summon Sorceress. This makes the Sky Striker engine a very popular package to run in decks that are able to employ Summon Sorceress to fetch for their key component. Too bad we don’t know when we will get Needlefiber. Why Jet Synchron when Glow-up Bulb would’ve given you the same board without having to discard? Summon Sorceress has a summoning requirement of 2+ monsters with the same Type, except Tokens.